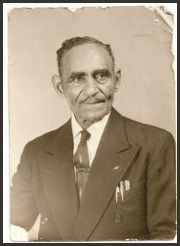 Ancestor’s Name : Timothy S. Miles, Sr. If you would like to share a story about this ancestor, please type as little or as much as you like in this box. : Son of Tommie Donaldson (rumored to have been white) and Elizabeth Miles of Edgefield County, SC. Tim was the second born around 1888 and had four other siblings.